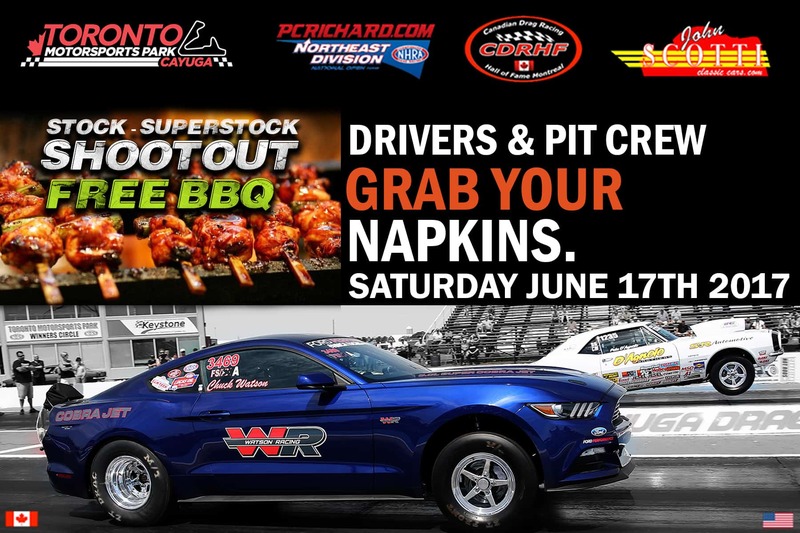 Congratulations go out to Pete D’Agnolo of Rochester, NY, who won days one and two of the John Scotti Classic Cars/CDRHF.com $25,000 USD Stock/Super Stock Shootout. His winnings for the two days totaled $12,000 USD. 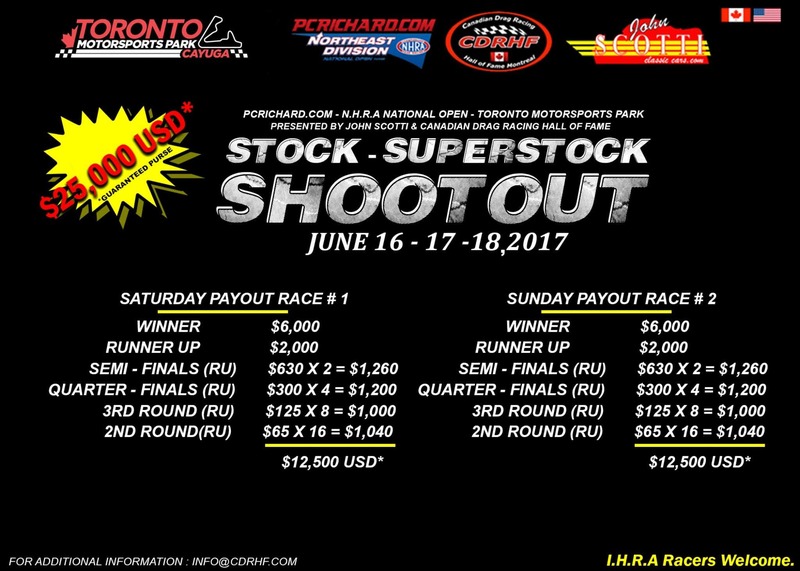 Runners-up were John Armstrong of Kingston, Nova Scotia and Venice Perno of Stoney Creek, Ontario whose share of the Shootout cash was $2,000 USD each. Congratulations go out to the more than 140 racers who battled it out in a tough field! 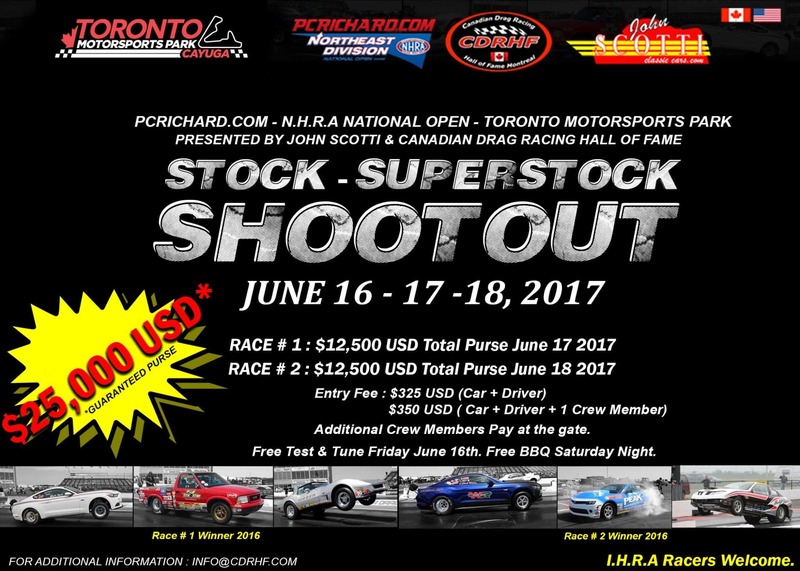 Funds raised at the Stock/Super Stock Shootout benefit the Canadian Drag Racing Hall of Fame (CDRHF.com), a registered non-profit organization whose mission is to recognize the achievements and contributions of Canadians in the sport of drag racing.